We want you to be completely satisfied with your auto repair, so please let us know how we’re doing. 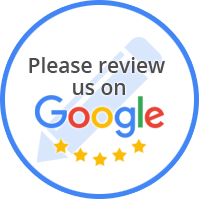 If you have a review you’d like to share, click here and fill out the form below. “Excellent service. They called with updates on my car, were very prompt in completing the repair, and explained to me and showed me exactly what they were doing and why parts needed to be replaced. Plus they were friendly and easy to work with. “I just had My 64 lincoln worked on it was dead for 10 years . they went through it from front to back. They Fixed everything that needed fixing. They gave me choices on how to spend. And how to save. My beast of a car now comes to a nice complete stop now. “I have been using Extra Care Auto for years now! I refer everyone I know. I could not be happier with their customer service, kindness and time they take to diagnose my problem as well as explain the work they have done. “My car broke down with a broken thermostat and water pump (major overheating!) on 101-N near Candlestick Park, and I needed it towed to a nearby facility. It was late afternoon, about 5pm, on a Thursday. Most places were already done answering the phone, but this place really came through for me. When I called this place, Mike Rosen (owner) picked up and said 'I'm here till midnight. Bring it in, I've got you covered.' He delivered above-and-beyond friendliness, transparency, and service. “I'm only not giving him 5 stars because the work I had was minor. BUT...Larry is a straightshooter. He could have rung me up on a simple problem for close to $500, but instead he said, 'Lets try the 8 dollar fix first, and if that doesn't solve it, then we'll explore other options. 'That alone had me convinced.